coating of sunscreen on us kids before heading to the beach? We never worried about what was in sunscreen when we were little, but we now know the chemicals we put on our skin can affect our bodies and our well-being. Research is proving that synthetic chemicals in sunscreens can actually be more toxic than the sun’s rays. Mineral sunscreens can be just as effective in combating the harmful effects of the sun as chemical sunscreens without the added harmful ingredients or damaging effects. Enviromental Working Group (EWG) weighed in on the benefits of mineral sunscreen as well, providing that “… mineral sunscreens have the best safety profile oftoday’s choices” .EWG notes that mineral sunscreens are stable in sunlight, do not appear to penetrate the skin and offer UVA protection, which is greatly lacking in most other sunscreen products. · Instead of absorbing into the skin, mineral sunscreens sit on the surface and form an actual barrier between the skin and the sun. In comparison chemical sunscreens have to be absorbed into the skin to be effective via a chemical reaction with the UV rays. · Mineral sunscreens are non-comedogenic, meaning that the ingredients are as non-irritating as possible and only necessary ingredients are used. This is important for children and people with sensitive skin. · The UV protection ingredient or blocker in mineral sunscreens is zinc oxide and/or titanium oxide, both of which are natural minerals. · Because the ingredients in mineral sunscreens are not absorbed by the skin, they sometimes can leave a slight white tinge to the skin. · Mineral sunscreens stay on even when makeup is added to the skin and can last through strenuous activities that cause a lot of sweat on the skin such as exercise. 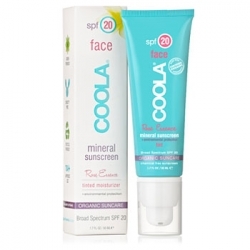 Mineral sunscreen adheres to the skin, doesn't slide off easily and is highly water-resistant. A good brand will tell you how long their product is water resistant and when to reapply. · Since mineral sunscreens sit on the surface and are not absorbed into your skin, you may have to reapply more frequently. Overall, mineral sunscreens offer UVA/UVB protection from not only the harmful effects of the sun, but also from harmful chemicals typically found in other sunscreens. Mineral sunscreens use non-toxic ingredients that are not harmful to the body and work to protect the skin from aging, skin cancer and irritation from the sun’s rays. We carefully researched and offer organic and mineral sunblock for adults and children that both protect and nourish even the most sensitive skin. 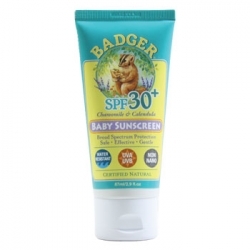 We offer sunscreen products from reputable companies like Badger and CoolaSuncare. 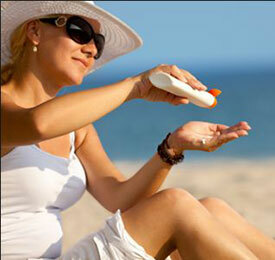 Do you have a favorite natural sunblock for you or a member of your family? Leave a comment and tell us your experience!